I put some finishing touches on the hallway treatment, so technically this is part 3 I think? 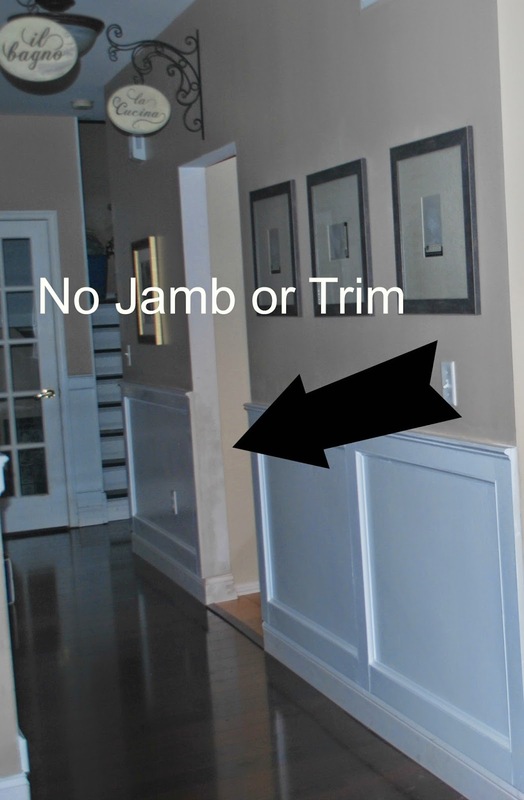 When I originally completed the hallway, I made the mistake of putting up the wood trim without there being any door trim around the entrance of the kitchen. Adding a door jamb is simple and for our family, absolutely necessary! The door jambs (or lack of) in this house were drywall. I was constantly patching, sanding, and repainting them. The puppy even bit one at one point. 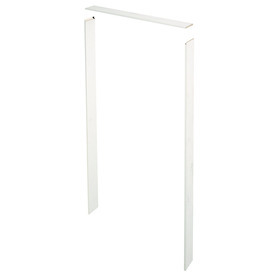 I used the door jamb kit at Lowes' since this was a standard doorway it worked perfectly. 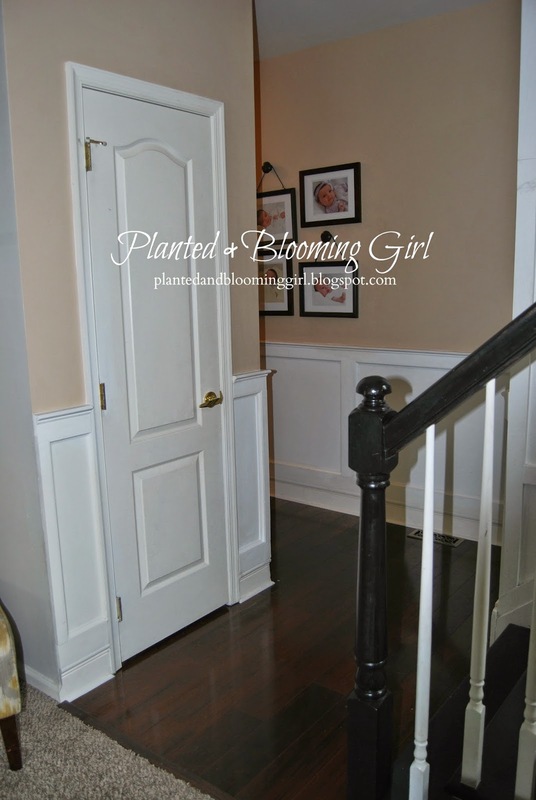 I chose to trim the doorway with the same trim that exists around the powder room and basement doors, keeping it simple here. I added an extra vertical board in one spot and the shoe molding...and why quit there? I extended the paneling down the hall, around the turn, and toward the stairs. Again, this area just looked unfinished. Now I need to finish sanding and painting!! As for the other two openings in my kitchen, they are 4 feet wide and 8 feet high. I have plans for them, but want something more dramatic than the regular 2 .25" trim that the builder used on the other doorways. I'll get to it.